Addressing the UN General Assembly in New York on Wednesday morning, President Kersti Kaljulaid stressed the need for not just words and agreements, but action and common solutions to back them up. 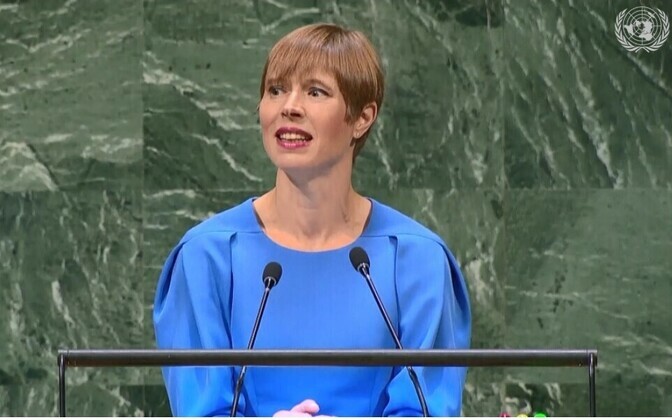 ERR News is publishing Kaljulaid's speech in full, as provided by the UN. Ten days ago I was in Ukraine, picking up syringes and empty bottles in a park next to a kindergarten in the industrial city of Dnipro. It was for the first World Cleanup Day, the biggest ever civil society action fostered by digital technologies and the voluntary will of millions. 15 million in 140 countries, among them many presidents and prime ministers, decided to do something for our planet. Having responded to the outcry of Estonians who launched the voluntary clean up action 10 years ago. It is very easy just to talk about a cleaner environment or climate change. But if you really want to get things done, then very often you simply must get up and do it yourself. In many ways this is also the reason why Estonia is running for the non-permanent seat at the UN Security Council for 2020-2021. Small countries have no time for small objectives — our aim is, among other issues, to bring all things digital to the UN and Security Council — cyber risks are something Estonians as citizens of a fully digitized state understand better than most. We want to offer our perspective to make sure that human beings remain safe in this new world were cyber related threats compound with conventional ones. The vision that we have for the candidacy and for the UN as a whole is based on three keywords — empathy, equality and efficiency. First, about empathy. However sad, we must talk about our worries honestly. Aggression should be called aggression, war is war, and occupation remains occupation. Regardless of whether it's Africa or Europe that we are talking about. I am deeply touched by the misery that war and conflict bring, whether it's talking with internally displaced women and children in occupied Eastern Ukraine or with Georgian politicians being told that due to occupation, their country will be forever denied full participation in the democratic world in the formats we, luckier others, so cherish. Estonia stands in solidarity with all those affected by conflict, terrorism and violent extremism. We reach out with humanitarian aid, practical assistance and also peacekeepers, from Africa to the Middle East. We do what we can, yet it feels like it is never enough. Ongoing military aggression in Eastern Ukraine continues in the very heart of Europe. Crimean Peninsula remains occupied, as do parts of Georgia, and there is no resolution of the conflicts in Africa. It is hard to tolerate these sad issues. Yet it is no solution to mince words to make ourselves feel better. For those in distress, recognition of their true situation, together with the humble recognition that we cannot do much more than commiserate, is offering at least some hope — some hope that one day things could be better. A hope that cannot feed on euphemisms avoiding straightforward admittance. In July, we reached an agreement on the Global Compact for Safe, Orderly and Regular Migration, and I'm looking forward to its adoption in Marrakech in December. But an agreement needs implementation. Without implementation, it is hollow — as hollow as the days ahead for those not knowing where they should lay their head for the night. Or how to calm their crying, hungry and frightened children. We need to get up and just help. The same applies to the Paris Climate Agreement. In order to tackle the global challenge of climate change that is affecting billions, we must implement the commitments we have collectively taken. Because the effects of climate change are increasingly felt all over the world — not only in the developing countries, especially by smaller island states, where homes, food and even clean drinking water are greatly at risk and countries are forced to jump through varied and expensive loops in order to gain access to relief funding, but also in the developed world, where people have lost their loved ones or homes in European forest fires, or through hurricanes in America and the Pacific. Yet we are still not dealing with root causes. Making the world safe for our children by applying the proper and best available technology standards to all energy production and use — both in the developed as well as in developing world. We should also — and yes, that simply — never forget to switch the light off when leaving the room, get a conditioner which stops when we open the door — do what we can when we see that globally we cannot yet. We are all equals in this hall. Not only because we have declared so in the UN charter. But also because the challenges we now face are going to affect each and every one of us. Equality in the face of global challenges is the law of nature. Much stronger than our international law could ever be. Yet international legal space matters, as common solutions demand respect of each and every one. We see the solution in liberal thinking that progress is possible not through polarisation, fragmentation or tribalism. Progress is the force born out of debate and seeking common solutions. Sovereign equality, the idea that all sovereign states are equal, is a fundamental tenet of international law and relations. The role of the UN is to provide this equality, as a guarantor of the rules-based global system. We depend on each other, whether we like it or not. And very often it's not the state or international organisations that get things done. But grassroots activism and NGOs who have a vision and a sense of responsibility. Principled voluntary approach can shift mountains of inefficiency, bad governance, neglect and lack of ideas. 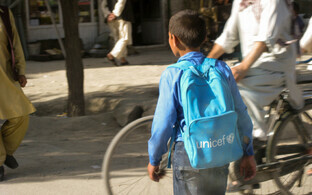 It can guide and catalyze policymaking, but not replace it. Recent gender equality movements like HeForShe have come a long way to counter gender-based and sexual violence. Gender equality is at the very heart of human rights. 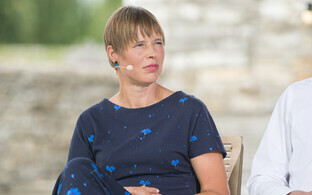 With this in mind, Estonia works actively in the Commission on the Status of Women. I have gladly accepted Secretary General Guterres' invitation to co-chair the High-Level Steering Group for Every Woman Every Child for the next two years. During my tenure, I intend to raise awareness of the heroic efforts people globally are making, often working without any institutional support. I wish to demonstrate how many good ideas there are globally, already found, already tried but only on the small scale — ideas which help someone somewhere, waiting to be discovered and scaled up in order to help as many in the world as possible. I hope to provide recognition, but also dissemination of best practices — often it is the same thing. This is how I can personally get something done. 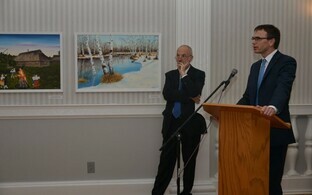 In terms of efficiency — and that is my third keyword — nothing is more important than truly effective multilateralism. Due to its inclusiveness, this organisation holds great legitimacy. And due to its high standards, a moral force. International law should be the primary yardstick of national interest. Those not so powerful understand it well. On Security Council reform, we need to win more space for common ground. Peoples and states, both big and small, should feel that the Security Council acts in their best interests. For too often, the Council falls victim of its internal differences and clumsy procedures. However, it should not be rendered powerless, especially when mass atrocities are being committed. We, together with the Accountability, Coherence and Transparency Group, have called for the Security Council members to feel the responsibility and be held more accountable if blocking action against breaches of international humanitarian law. It is telling that already 117 states have signed the Code of Conduct launched by the ACT Group. Furthermore, we support continuously the proposal of France and Mexico that in the face of great human suffering, the Permanent Members should voluntarily restrain from the use of the veto. New technologies should always be seen as enablers. They create equal opportunities, if supported by proper policies. The risks related to them should not be ignored — also because they do not replace but rather enhance most of our conventional risks. But well set international legal space should be able to deliver for humankind and avoid Armageddon scenarios. No new technology can thrive in a fragmented world. Now more than ever, we need global free trade as an essential element of fostering long-term development and growth. Estonia as a small, export-dependent country is an advocate of free trade, including creating better market access for developing countries and improving business conditions for investments. Trade and economy are closely linked with security, as history has so often demonstrated. We stand to protect what the developed world has achieved, what the WTO stands for, and what aspiring regions and bodies have set out to achieve. For example, freedom of trade and work in Africa through legal space setting by the African Union. We wish them quick success, and we stand by them to help where we can with our own leapfrogging experience in digital technologies. Empathy can easily be translated into efficiency if we really wish to get things done. Words are important, but they are not sufficient if not followed by concrete action. Wars and conflicts continue, global warming speeds up and piles of litter around us just keep growing. We have equal responsibility to be more pro-active in preventing and solving the challenges of our times. When feeling helpless, then it's sometimes best to do the little thing you possibly can. Globally, if we all do our bit, things can only get better. Our globe cannot take any more free riding. Any more hand-wringing that "we cannot." Any more inaction. Any more hiding behind our current comforts — in order to forget what will be the state of the world we leave to our children. So let's act individually and collectively. Today. Every day.